Houston Vessel Manufacturing Group. 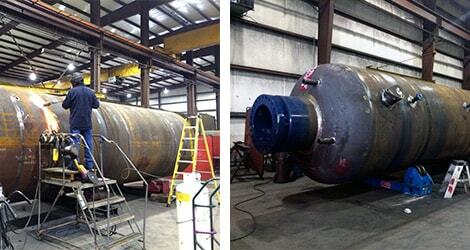 is currently fabricating HP Molecular Sieve Units, with thickness of over 2 ½” and diameter of 96”, these units are on track for an on time delivery to another satisfied customer. For more information on your High pressure application units, please contact us at sales@houstonvessel.com or our direct lines.